Two-sided fashion forward affordable necklace with matching earrings. 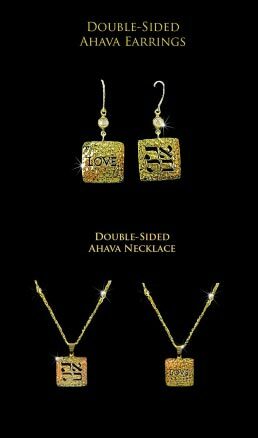 The necklace includes a 16-18” adjustable chain enhanced with crystals and features the word “Ahava” in Hebrew on one side and “love” in English on the other. The pendant measures almost an inch and the earrings just a little larger than .5”. 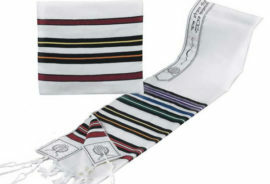 The material is bronze with gold plate. 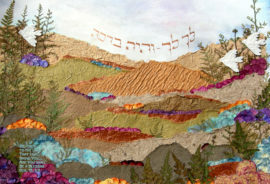 This is a fabulous Bat Mitzvah gift or for any occasion, a meaningful and lovely offering.